So Is the US Economy Screwed No Matter What the Fed Does? 1. It can keep interest rates low, hurt savers, and allow rich people to buy up all of America. 2. It can allow interest rates to rise, help savers, and hope that Americans buy high priced homes with even higher interest rates. While we are in number 1, at present, the Fed could stop speculation in futures markets, and ban easy money loans. Of course, easy money loans are not made much when interest rates are low. But of course, banning easy money lending has been half hearted at best, with the Consumer Protection Agency tied to the Fed. As we move to option 2, we must absolutely stop speculation in the futures markets, or gas prices alone will tank the economy. As far as buying high priced homes with high interest rates, it isn't going to happen without a housing bubble. Henry Blodget has maintained that the bankers who sold collateralized debt obligations (CDOs) throughout the world, were not guilty of breaking the law. He says that buyers were sophisticated and should have known about these products. But last time I checked, the sophistication of investors did not determine if there was fraud involved in the packaging and reselling of the CDOs. For one thing, there are common law claims, as fraud is fraud whether it rises to the level of securities fraud or not. And as to securities fraud, representing the CDOs as being safe when they were not could violate the law. Thanks to Globalization, Your Furniture Could Be Making You Sick! Furniture began being imported big time just a few years ago. It has a lot of formaldehyde in it and could be making you sick. I urge you folks to read this article and warn your friends! Belgium Needs to Sell a Lot More Chocolate Belgium is a country that is at the heart of the Eurozone. The European Union has headquarters in Brussels, and even NATO is located there. But Belgium has financial problems and an ethnic division. So I am half amused and half sad that a commercial comes on TV saying that we need to eat more Godiva chocolate rather than use it for special occasions, as is the habit in the United States.I believe that the commercial, while being a legitimate marketing tool, is also revealing of the financial trouble that is coming out of news reports in the European country. Belgium is nearly broke! Housing As a Store of Wealth: Real Estate Is Too Risky! Adjustable mortgages are marketed to the masses as a benefit to them. Alan Greenspan said you could get a "better deal" with an adjustable, in February of 2004. That was just at the start of the housing bubble. Not only was he in on the housing bubble, but he was advocating that the borrower like and prosper from the adjustable. But who really profits from adjustables? On Business Insider at this article by Rob Wile I shared a message and an unknown fellow named Brian M responded. This exchange tells us a lot about adjustable mortgages. "When you have fiat money you can still stop speculation and easy money lending. You can ban it like in Germany. But the bankers say they can't price a mortgage and need adjustable mortgages or they may lose their shirts. Well, that places the risk directly upon the buyer. Who needs that?? Rob, who needs it?" The financial crisis is not over folks. The jobs situation is bad. The housing price situation is bad, with houses seriously overpriced. Cash from bankster investors, hedge funds and the like are driving housing comps up. 3 percent down makes for a bigger house payment for the rest. Sometimes it is better than renting but even then, it is not a store of value if you have to sell your house later on and the price declines. Beware of the 30 year mortgage and the housing market unless you are certain about your income and don't need your house as a store of value!! Henry Blodget Doesn't Think Banks Did Anything Illegal. Wrong!!! "Sorry, I'm just tired of these drive-bys. Every prosecutor that can has looked into what the banks did, and they didn't find anything illegal. (Because the truth is that almost everything they did was legal--as outrageous as that may sound). So I think it's time we stopped just throwing around this word. Congress deserves a lot of the blame for what happened. As, I am sorry to say, do folks who borrowed money to buy houses they couldn't afford." My article on BI showing the Phoenix housing bubble is a cash buying scam from Wall Street. Hope you take the time to read it if you are contemplating house purchases. Keeping your house as a store of value with all the uncertainty is a gamble. This is, of course, an indictment of failure to stop the bust in a boom and bust cycle. Look at it this way, a boom and bust is actually a way for wealthy folks to make money on the way up and on the way down. That is what they want, boom and bust. 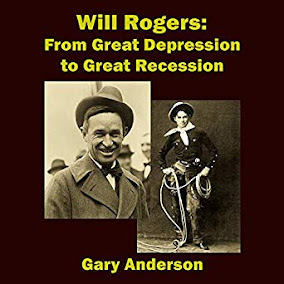 Andrew Mellon, in wanting boom and bust, wanted speculation, austerity, and supply side percolation economics. He relished panic as a way for folks to make money at the top and for the riff raff to suffer and be moral. But really, with Mellon, it was greed, the keeping of money he had made. That is the banker mentality, unless they can foment a scam like the housing bubble where they pawn off mortgages, get bailed out, get their properties back, and start the process again. Beware of the bankster and the bankster propaganda that ultimately will target the helpless home buyer. Boycott mortgages if you need to save your money. Otherwise, you put the money at risk. Frugality Must Rule in the New Normal The economics of strategic frugality becomes the economics of multi-generational living as globalization puts pressure on wages and the American way of life. I have written articles about the subject of globalization and frugality at Business Insider and these are included in the discussion here. But looking at the big picture of why all this frugality is necessary becomes a very important piece of information to the families facing permanent wage decline and permanent pressure on their way of life. Andrew Cuomo is only partly right in going after Ken Lewis for throwing Bank of America's shareholders under the bus in the credit crisis meltdown. As background, the bank bought Merrill Lynch, which was so underwater on bad loans that BAC stock tanked. Lol, Henry, don't let the goodies corrupt you. :) I would like to know what the Davos folks think of my theory. It is that without lots of 20 percent fixed mortgages, house prices must be volatile going forward. When the 20 percent mortgage was king, back in the last century, house prices were stable. Now, they cannot be stable until either, wages drastically increase, or house prices drastically fall.